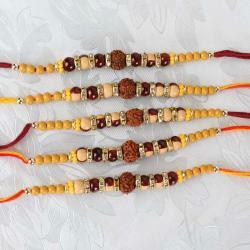 Product Consist: Combo of Five Colorful Zardosi Work and Beads. 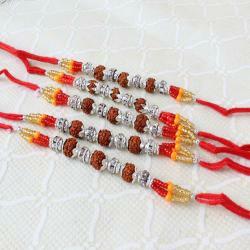 Give your brother unforgettable surprise on this Raksha Bandhan through Giftacrossindia.com. 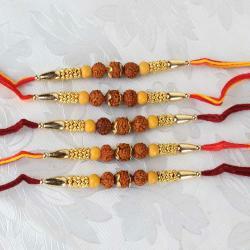 If you have a good number of cousin gang then this Rakhi set of five will be your perfect gift to your family. 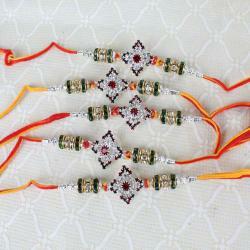 Make this year of Raksha Bandhan more enjoyable through this exclusive Rakhi threads which is designed amazingly. 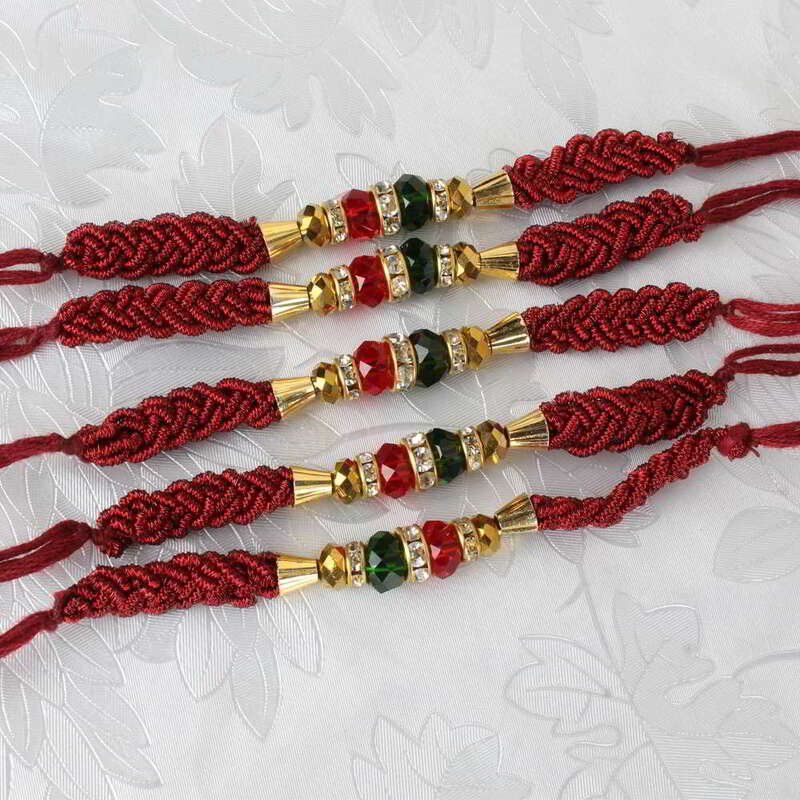 We are giving you this wonderful opportunity to express your love and care equally for all your dear brothers then this celebration will become more special to them; this same pattern rakhi gifting will add more charm to your relations with all. Product Includes: Combo of Five Colorful Zardosi Work and Beads.